A Kogalymavia Airbus A321 passenger airliner, with 217 passengers and seven crew members on board, crashed in the Sinai Peninsula in Egypt on October 31, 2015, leaving no survivors. Flight 9268, en route to St. Petersburg from the resort city of Sharm El-Sheikh, disappeared from radars 23 minutes after takeoff. The Sinai aircrash became the deadliest air accident in the history of Russian aviation, surpassing the 1985 disaster in Uzbekistan, where 200 people died. 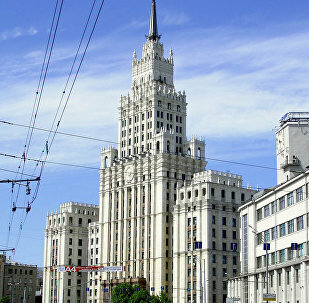 Russian Transport Minister Maxim Sokolov rejected rumors of air traffic restoration with Egypt next month. Russian Transport Ministry group of airport safety experts was sent to Egypt shortly in order to restore bilateral flights. Russian Transport Minister Maxim Sokolov discussed aviation security measures with his Egyptian counterpart, Civil Aviation Minister Sherif Fathi, the Russian ministry said Friday. Egyptian Civil Aviation Minister Sherif Fathy has invited Russian experts to conduct the final inspection of security at Egyptian airports to expedite the resumption of air traffic between Egypt and Russia, Egypt's Ministry of Civil Aviation said Tuesday. 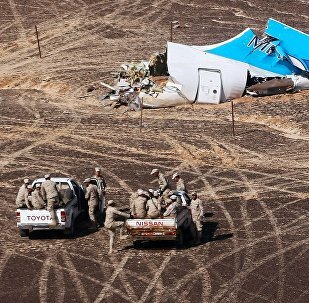 Egyptian Parliament's Speaker Ali Abdel Aal told Sputnik on Friday that he believed the case of the crash of the Russian A321 plane in the Sinai desert would be closed soon. Ansar Beit al-Maqdis, a terrorist group that pledged allegiance to Daesh, is responsible for the downing of the Russian A321 passenger jet over the Sinai Peninsula on October 31, according to the CIA head. Foreign Minister Sameh Shoukry underscored that the investigation into the Russian A321 passenger jet crash over Egypt’s Sinai Peninsula was still underway. US lawyers filed proceedings against a leasing firm that was said to own a Russian-operated passenger plane that went down in Egypt last fall, Ribbeck Law founding partner Manuel von Ribbeck said Tuesday. 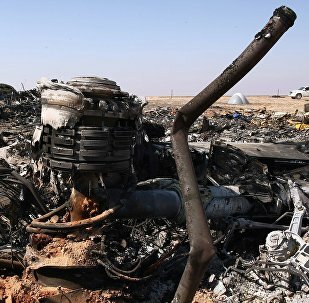 The Independent Investigation Committee into the the deadly Airbus A321 plane crash has received a report of the Russian Investigative Committee into the matter, Ayman el Mokadem, the head of the international investigating body, said in a statement on Thursday. Egypt is taking all the necessary measures to ensure the safety of tourists at its resorts and airports in wake of the Airbus A321 plane crash, Egyptian Foreign Minister Sameh Shoukry said. The drop in tourist flow to Egypt that came after the deadly Airbus A321 plane crash last year has affected about 16 million Egyptians, the country’s Foreign Minister Sameh Shoukry said. The losses of the Egyptian tourism industry since November 2015 to February 2016 amounted to approximately $2.3 billion, local media reported citing a source in the country's tourism ministry. A Cairo-led international team investigating the October crash of a Russian A321 airliner in the Sinai desert asked the Egyptian president on Friday to prove that the plane was bombed, local media reported. The Russian airliner that crashed in Sinai in October 2015 was downed by terrorists to harm Egypt's tourism industry and ties with Russia, Egyptian President Abdel Fatah Sisi said Wednesday. The Russian Federal Security Service found no traces of Turkish involvement in the terror attack which brought down a Russia-bound Airbus A321 over the Sinai Peninsula. The Egyptian authorities will send a voice recorder from the crashed Russian passenger plane to a German lab for further study. Russia’s version that the A321 crash over Egypt’s Sinai Peninsula in October was a terrorist attack has received more confirmation, Russian Ambassador to Egypt Sergei Kirpichenko said.